Hey! Even dots are round! 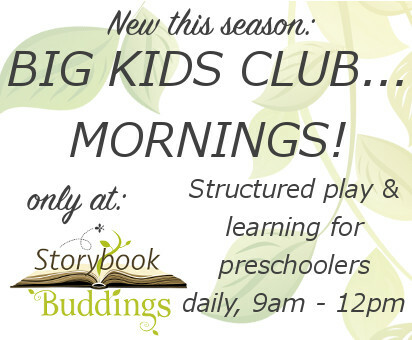 The new MORNING Big Kids Club over at Storybook starts this week, and I’m so excited to be participating! It’s all the fun and structured play and learning from our popular afternoon program, but in the morning! What’s not to love? These days, Ehlssie and I are sharing the programming week (and the managerial duties), so we each have multiple days to play. Plus, in July, Buddings veteran Jenny Bachhuber will be joining us for the second half of the season. So, what’s happening on Tuesdays and Thursdays? Round n’ Around is about things that are round. 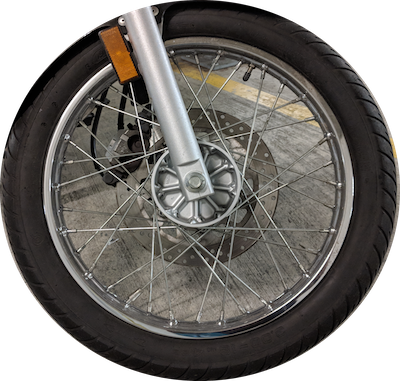 Circles, in all their forms, uses, and unique properties. Cycles, in nature, society, and laundry machines! Roundness makes the world go ’round! Okay, so I’m not much of a poet (Summer Time Rhyme, forgive me), but with only three months to play, and such an enormous topic, the Big Kids Club structure is what makes it such a powerful teaching technique. 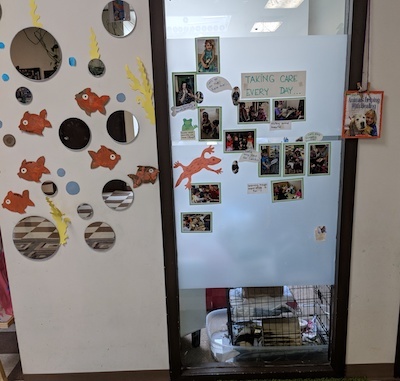 It brings the kids together for a regular routine, and introduces the social problem solving, and group collaboration skills that help them understand one another, and make friends. Teaching Big Kids Club is fun! I was busy getting ready to open the Storybook, but now that Storybook is open, I don’t have to worry about opening it anymore. This season, I can focus on my programming. Over the years, my classes have been about physics, construction, invention, and accomplishment. I love to draw children’s attention to the inner workings of the world around them, and in preparing for this class, I can’t help but notice that there are circles literally all AROUND us. Programming hasn’t been the only thing to fall off my radar recently. 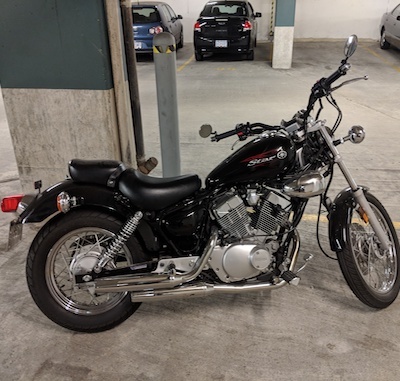 My motorbike has been languishing in parking lot purgatory all winter… and spring. The wheels, and headlights, and mirrors are all dirty, and the dials, and signals… are ALL ROUND! Jenny arrives July 2, and she’ll be planning the rest of the program, so you’ll hear more about that in our next post. Summer Time Rhyme kicks off this week! Join me, on Tuesdays and Thursdays (and Ehlssie all the other days) at Storybook, from 9am – 12pm. If you’ve already been to Storybook, you’ll probably have met our two feathered friends, Pebbles & Finch. 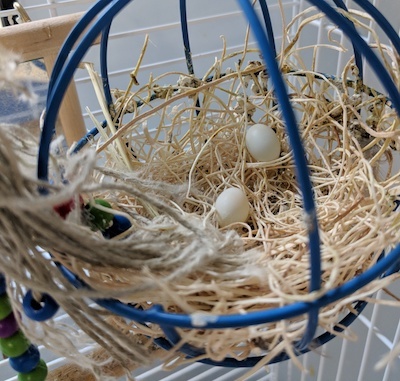 They’re a pair of zebra finches who live in the front window, and you won’t need three guesses to figure out what kind of roundness happens when two finches get together.